With a little help from an adoring CNN townhall audience, California Sen. Kamala Harris kicked off her campaign for president this week by telling Jake Tapper that she would like to take every private health insurance plan in America and flush it down the toilet. Asked by Tapper if Americans would be able to retain control of their own private health insurance plans if she were to unroll her “Medicare For All” program, the candidate said absolutely not. Well, we suppose you have to give Harris points for avoiding the trap that threatened to destroy Obama’s presidency. She didn’t stand up there and say, Oh yah, if you like your insurance, you can keep your insurance. Nope. She’s going full-on, Sanders-style, balls-to-the-wall socialism with our healthcare industry, so at least there’s no further doubt about where she stands. 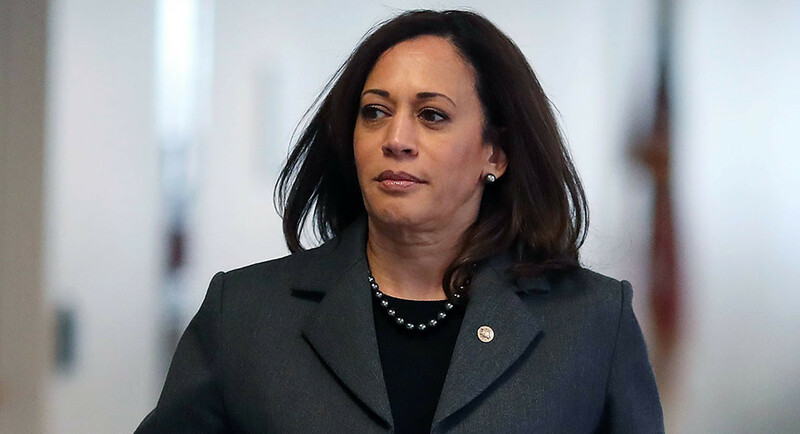 It’s interesting, though, that Harris is being touted as one of the so-called “Establishment” Democratic candidates for president? What, exactly, sets her apart from Sanders and Liz Warren? Also in the CNN townhall, she endorsed Alexandria Ocasio-Cortez’s Green New Deal initiative, which is nothing more or less than a complete government takeover of the free market. Where are Sanders and Warren going to go with their campaigns? When will we see the first candidate to endorse hanging Wall Street billionaires in Times Square? The Democrats are beside themselves that former Starbucks CEO Howard Schultz is pondering an independent run for president, but they are the ones giving him that opportunity. They have swung so far to the left that millions of Americans who would never think of voting for Trump might have to reconsider. THEY are the ones plotting the president’s re-election, not Schultz! Democrats are either going to need to swing back to the middle, or pray to whatever serves as their God that college students come out to vote in 2020 for the first time in U.S. history. Because otherwise, we just don’t see them being able to climb the hill.